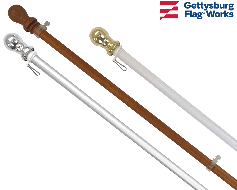 Beautiful, high-quality outdoor Wisconsin state flags for mounting on most flagpoles. Choose your size, mounting type and material. Made in the USA! 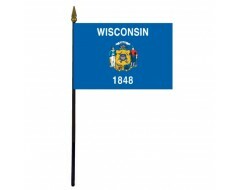 Wisconsin State Stick Flag - 4x6"
Outdoor Wisconsin state flags are available in a variety of size, material and mounting options. Nylon Wisconsin flags are lightweight but durable and dry quickly after a storm. 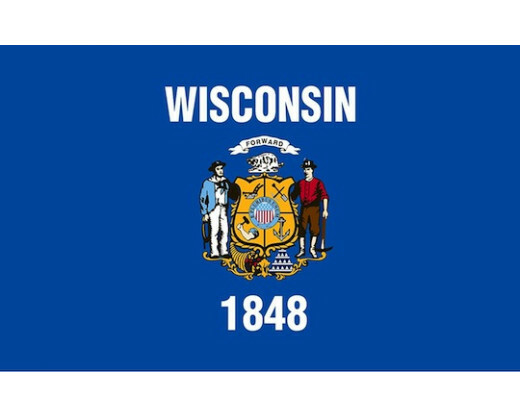 For a more heavy-duty Wisconsin flag, choose the heavy-weight polyester flag. The heavy duty polyester requires more wind to fly, but also lasts longer. 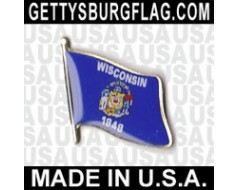 Please call us if you don't see the size or style Wisconsin flag that you are looking for. We can find, or custom make the perfect flag for your display.